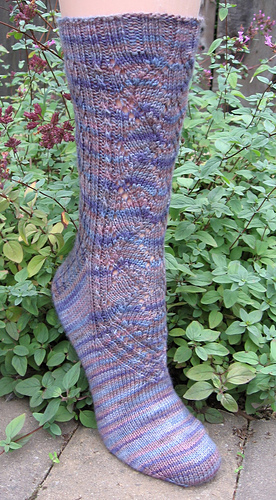 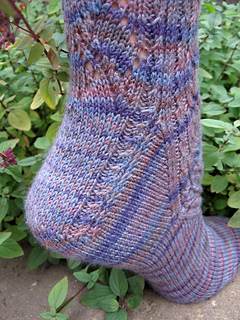 This elegant sock is knit cuff down with a heel flap/gusset and wedge toe. 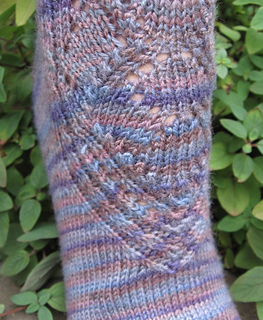 The lace panels are bordered by twisted stitch cables which continue to frame the heel flap; while the lace tapers to a lovely “V” on the instep. 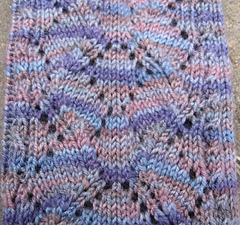 Pattern has both written instructions and charts. 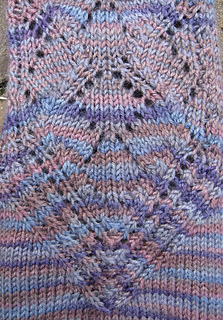 Shown in Lorna’s Lace Solemate, Hermosa. Originally designed for TheKnitter.Com October 2011 Luxury Sock Club.